A difficult question is arising for German Chancellor Angela Merkel before her meeting with Turkish leader Recer Tayyip Erdogan – should Europe deal with a country which buys oil from terrorists? Politicians with principles should have cancelled the meeting, German media reported. EU leaders are expected to meet with the Turkish president on Sunday to discuss the deal – billions of euros for Ankara’s agreement to help resolve the migrant crisis. 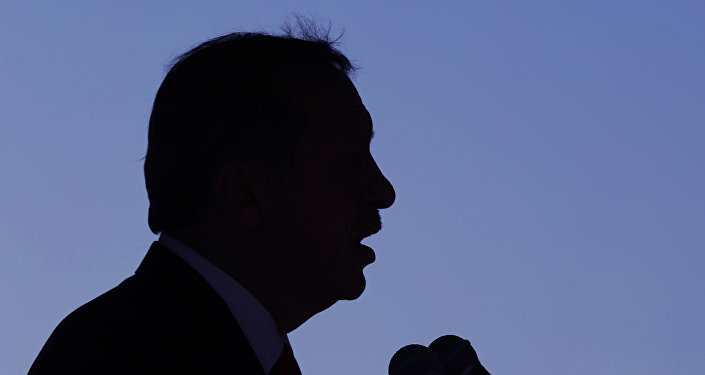 The "helpless" EU wants a fast decision to the crisis and considers Erdogan a savior, but it’s a great illusion, Deutsche Wirtschafts Nachrichten reported. There is enough evidence of Turkey siding with Islamic State militants, and Sunday’s meeting should be cancelled, the article read. 'Erdogan Family's Trace in Su-24 Downing': Revenge for Ruining Shady Oil Deals? Nevertheless, recently Merkel has shown her favor toward Ankara. One should also keep in mind that the deal is very beneficial for Erdogan as in addition to the money of European taxpayers, he will receive a bonus – Merkel turning a blind eye to all uncomfortable topics. Thus, Erdogan would not have to explain why Turkey shot down a Russian jet over Syria, increasing global military tensions. He would not also have to give explanations on his family’s ties with funding terrorists and the journalists who were jailed for reporting on Ankara siding with ISIL. Finally, Turkey would not have to guarantee to Brussels that its billions of euros would be spent to tackle the migrant crisis, the author wrote. Merkel cannot be sure that the deal with Erdogan, despite all his deeds with terrorists, will not turn European taxpayers into sponsors of terrorism. If reached, the deal would pose a threat to the lives to European residents, and Merkel should try to cancel it, the article concluded.